Since our founding in 1990, Berke Law Offices, Inc., in Canoga Park, California, has successfully served the needs of a diverse range of clients throughout the country and around the world who seek the highest level of advocacy and support for their serious legal challenges. One of the aspects that sets our law firm apart from other legal practices is the fact that we have on staff a team of associates that is fluent in six different languages, including American Sign Language. This allows us to better communicate with our clientele regardless of their country of origin, enabling us to offer a level of service and support that other practices simply cannot match. In addition, our attorneys are admitted to practice in jurisdictions across the country, including several circuits of the U.S. Court of Appeals, so we can handle your matter or help you challenge a previous ruling concerning your case no matter where you reside. 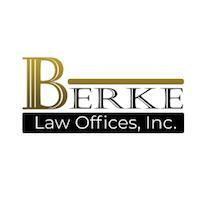 At Berke Law Offices, Inc., we pride ourselves on our open communication, and we utilize the latest in technology to interface with clients from all corners of the globe. Dedicated to providing the most up-to-date information possible to those we serve, our attorneys actively participate in continuing legal education seminars so we can offer the most current, relevant advice for your serious legal matter. We also offer flexible payment options and transparent fee schedules to fit any budget. To find out more about how we can best serve your needs and help you secure a brighter future for yourself and your family, we invite you to contact our law office to receive an initial consultation.